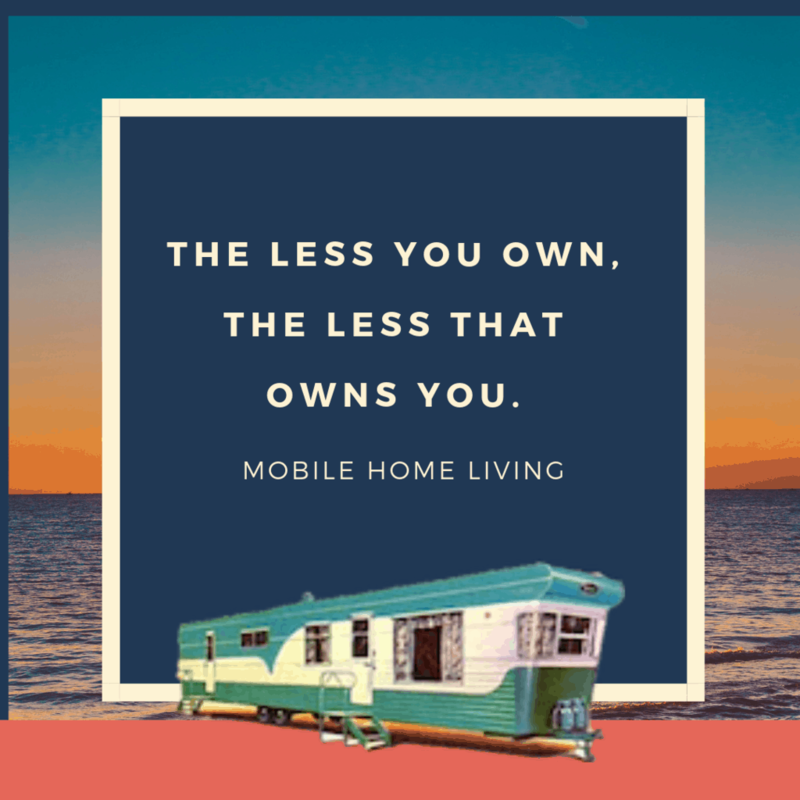 We found this gorgeous 1991 single wide on one of our favorite Facebook groups, ran by one of our favorite mobile home experts, Steve Lancaster. We love this home because it proves that mobile home interiors can be gorgeous. 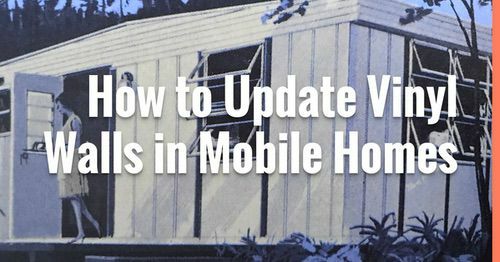 This mobile home was listed on Craigslist and located in Charlotte, NC but it needed to be moved. 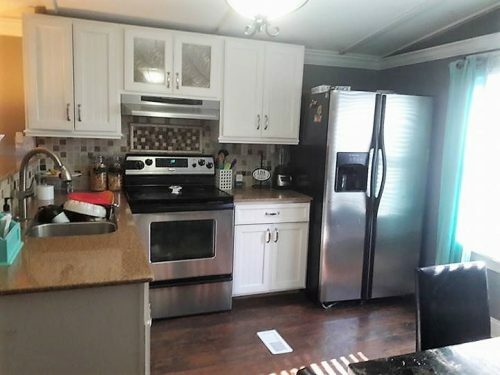 The 1991 single wide has 2 bedrooms and 1 bath had an asking price of $10,000. The listing is no longer available – the home probably sould fast. If I had to guess, this is one of those situations where they live in a mobile home and build a home on the property. 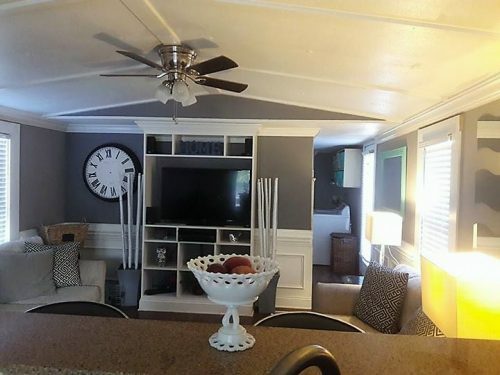 The most obvious idea for gorgeous mobile home interiors is the glossy white ceiling. High-gloss paint on ceilings helps light bounce around a room and makes the ceilings appear higher. It is hard to describe just how much a newly painted ceiling can change a single wide. It makes the home feel bigger and more modern and brighter. The color of the walls are set off nicely with the white trim. Using a single color throughout the home is another popular professional interior design trick. It helps create cohesiveness and ‘opens’ the home up a bit. 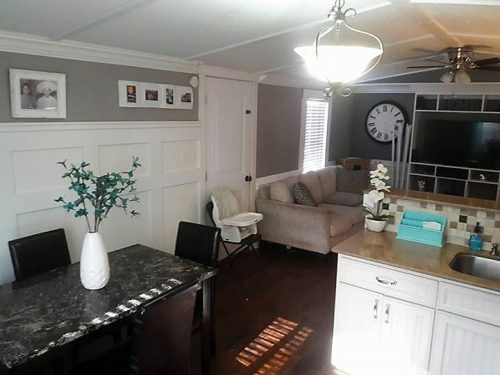 This home uses a lighter gray on every wall and it compliments the larger trim and wainscoting perfectly. Mobile home interiors can be beautiful! 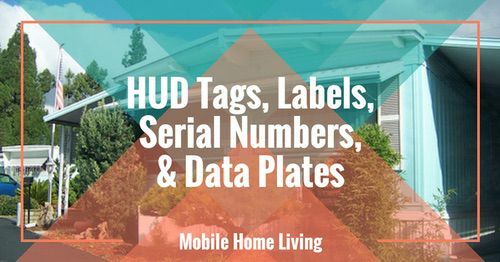 This single wide uses several design principles for beautiful mobile home interiors in every room. Using mirrors in a small room helps create an illusion of a bigger space. The placement and number of mirrors are also based on well-known professional home design standards. Adding elements in threes creates a grouping and pleases the eye. Hanging the mirrors all the way to the ceiling is another designer trick – it moves the eye up and creates an illusion of a taller ceiling. Oh, and mirrors bounce light around, too. 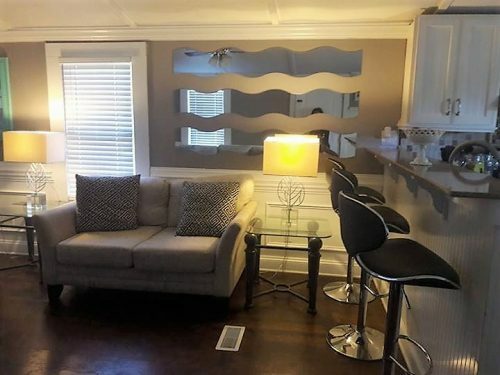 In other words, mirrors are a really good idea to create gorgeous mobile home interiors. Add mirrors to your small rooms to bounce light around. 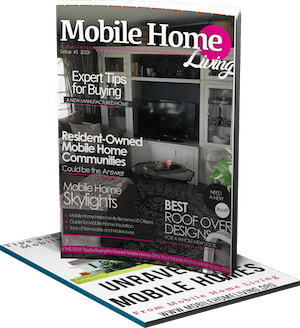 Learn all the best tricks to make low ceilings appear higher in mobile homes here. Learning how to trick the eye is one of the most important interior design principles. Using a darker floor covering is another trick used by interior designers. It creates a foundation and the contrast with the white ceilings helps create the illusion of space. Installing stainless steel appliances and new cabinetry can make the entire home feel more modern. RELATED: Thinking of installing a backsplash in your kitchen? Read our Affordable DIY Backsplash Project for tips! Wainscoting looks great in a small space but you need to get the right dimensions using the rule of threes. You simply measure the wall and divide it by three. 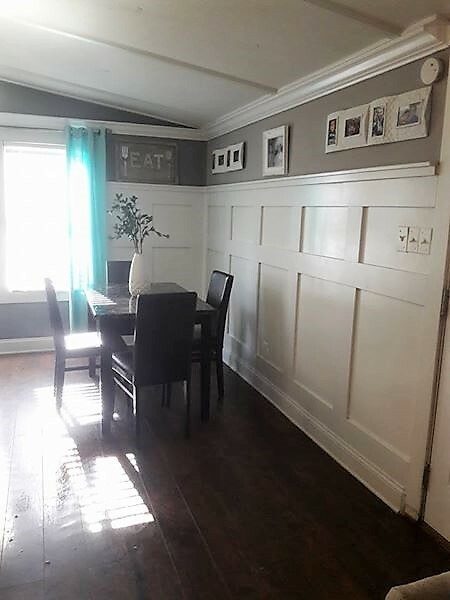 Wainscoting should be either 1/3 or 2/3 of the wall. Furniture height should be 1/3. I read an interior design handbook a few years ago that stated you should always start with the kitchen and/or bathroom first when facing a whole-house makeover. There are two main reasons for this suggestion: the bathroom and kitchen are usually the most expensive rooms to update and modern appliances and fixtures make the entire home seem more modern. 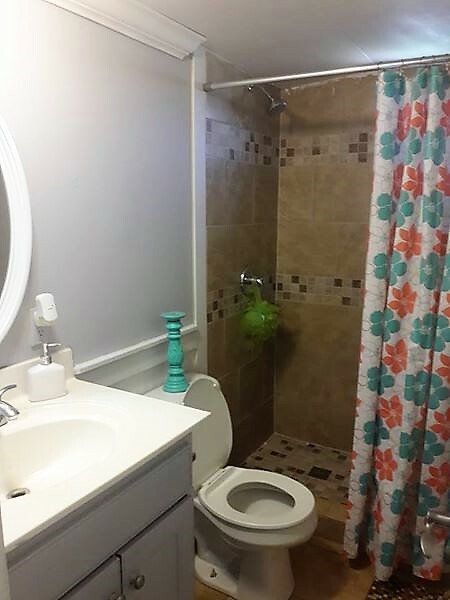 The bathroom has been updated with a tile shower. With smaller mobile homes you have to be creative when it comes to storage. One smart option is to make the storage part of the decor. These fabric baskets are affordable and available at most dollar stores. 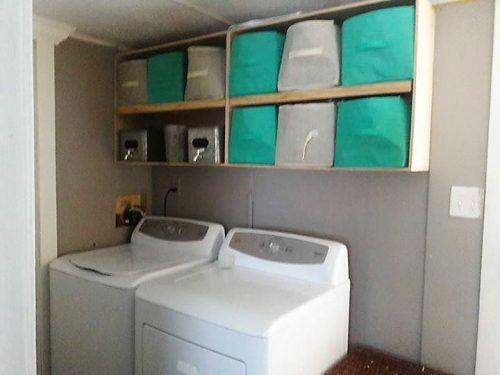 The canvas totes over the washer and dryer are a discreet way to store things. 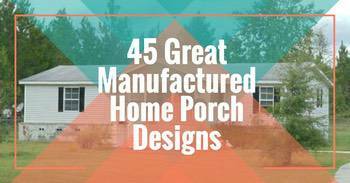 Read more about interior design tricks for manufactured homes here. This 1991 single wide isn’t perfect but it is fabulous. 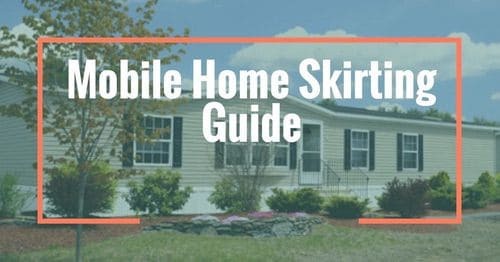 It really shows that mobile home interiors can be beautiful. The sky is the limit when it comes to updating a single wide and finding affordable housing that doesn’t break the bank! Definitely want to do a lot of these ideas in our home. The wall treatment is just amazing. I love it. PLEASE, what is the gray wall color? I really love this look. The gray and white is so clean and makes the home look more open! 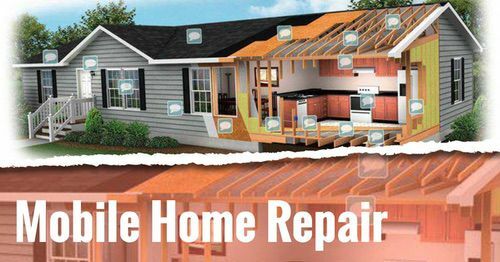 This is a gorgeous remodel! So inspiring! Thank you for sharing this!